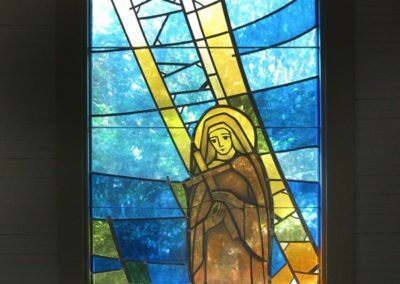 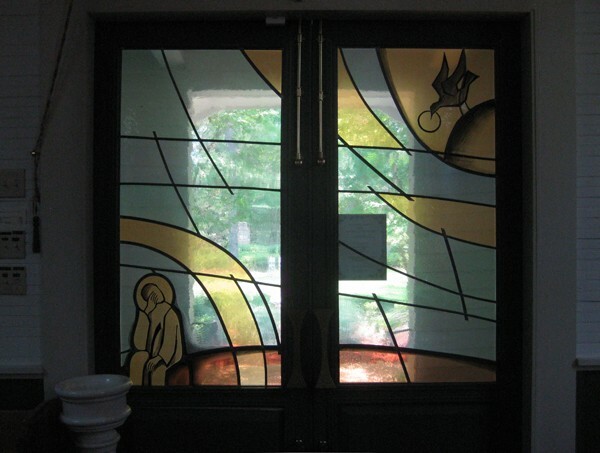 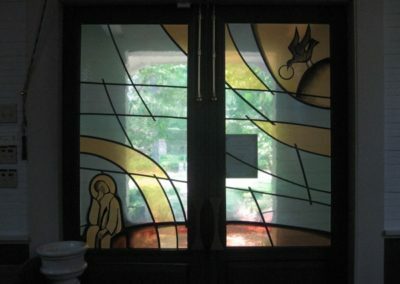 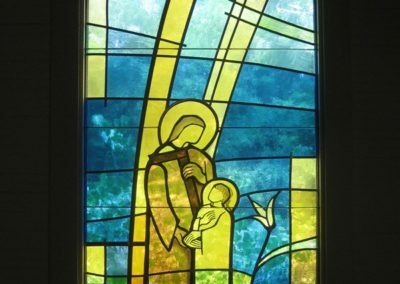 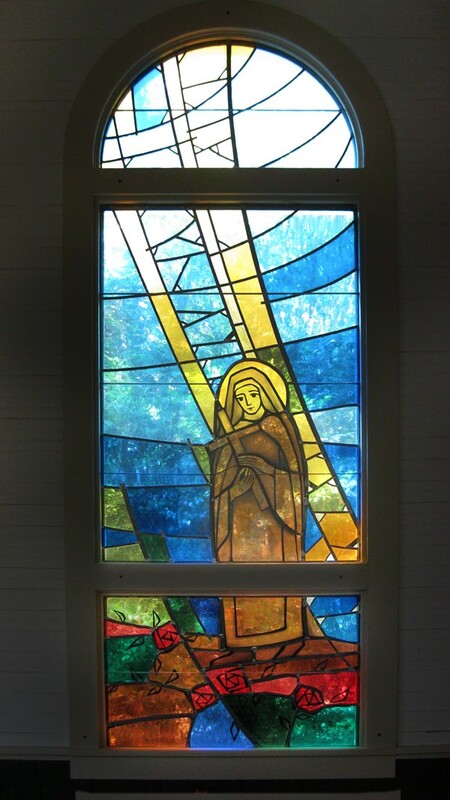 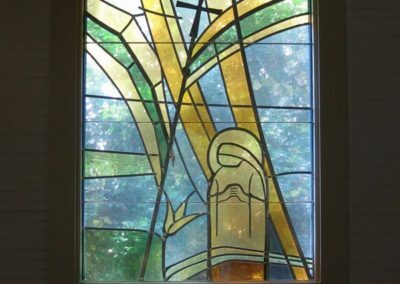 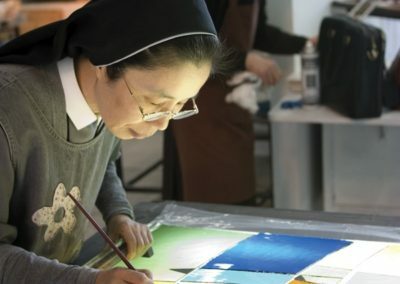 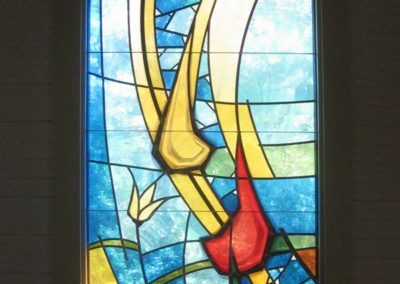 To help translate the stained glass designs of Sister Marie Teresita Kim, SND, from Incheon, Korea, into new windows for the Carmelite monastery chapel in Covington, Louisianna. 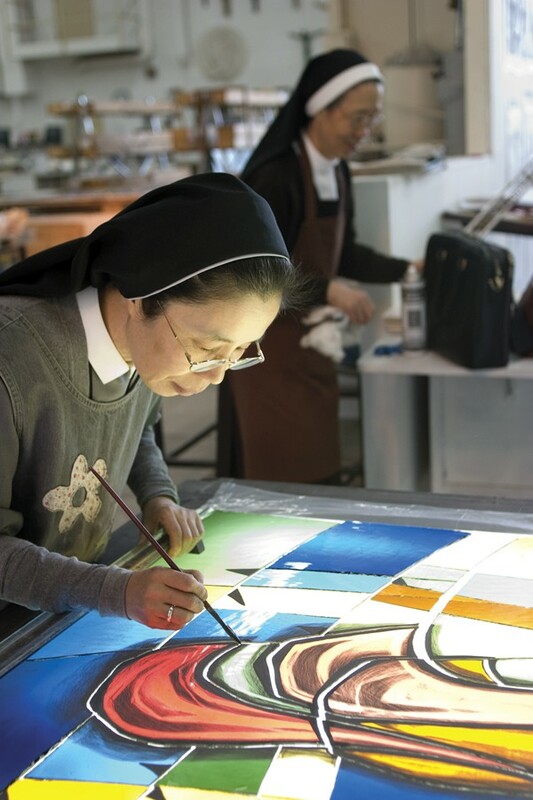 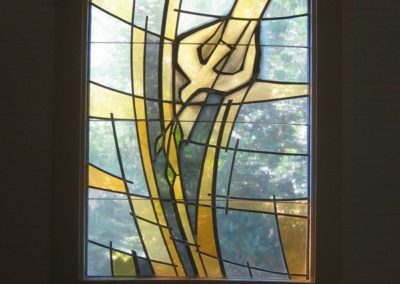 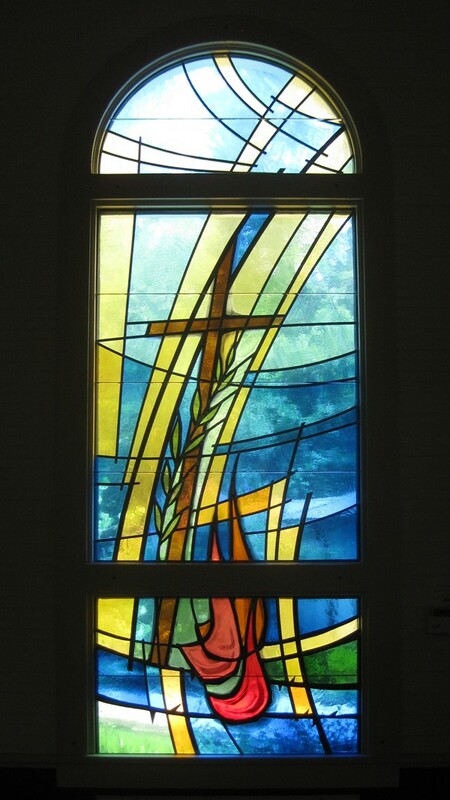 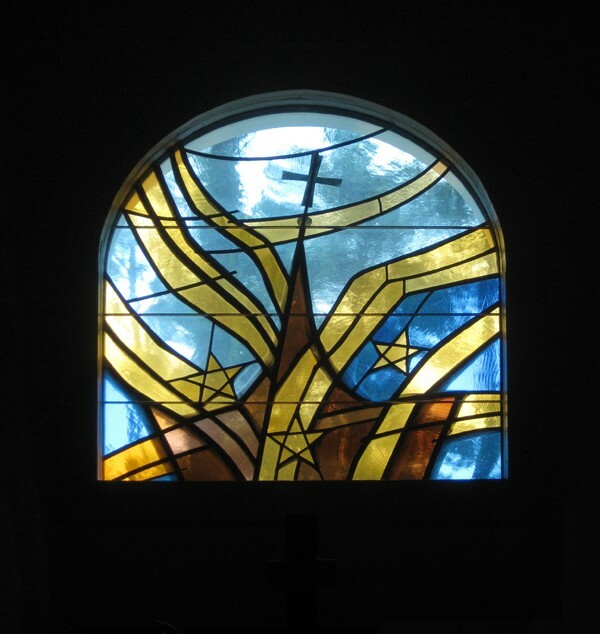 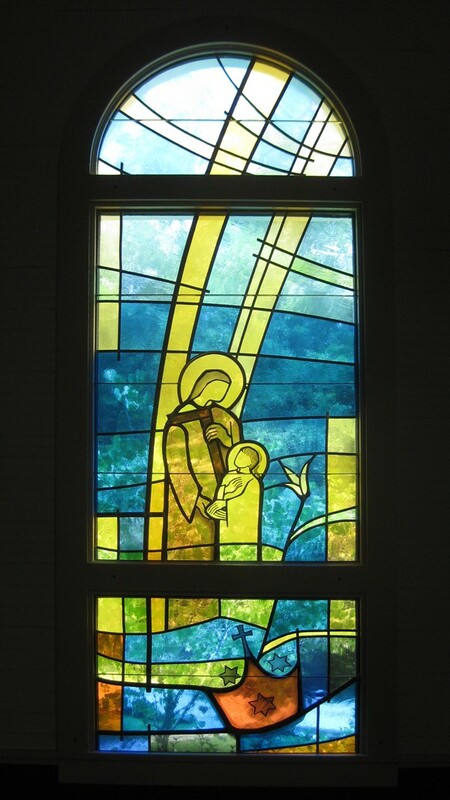 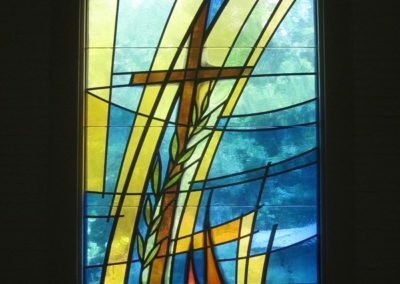 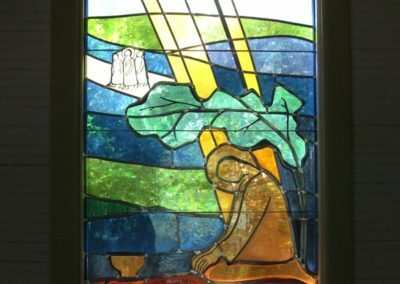 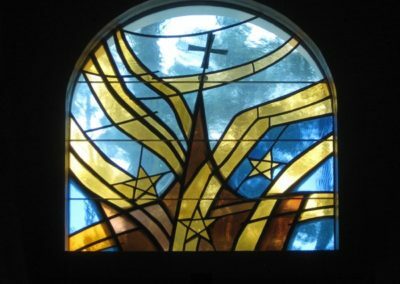 Sister Kim’s stained glass and other pieces of liturgical art grace churches and convents in Europe and South Korea. 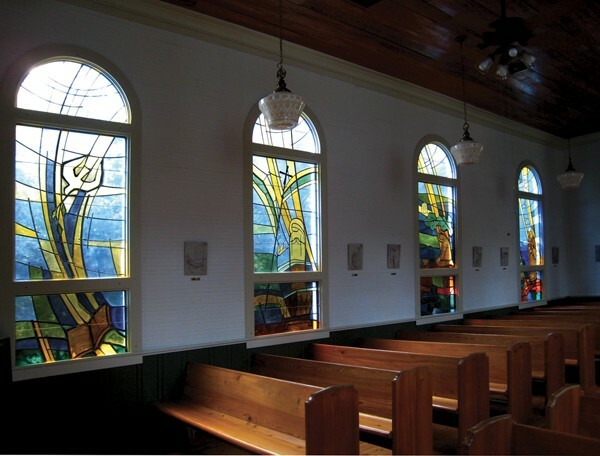 As the original frames in the chapel were handcrafted, no two frames were alike. 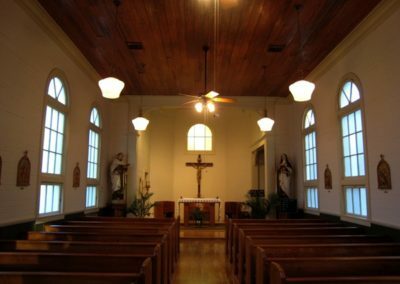 In addition to the high Louisiana humidity, Hurricane Katrina damaged much of the chapel roof and ceilings. 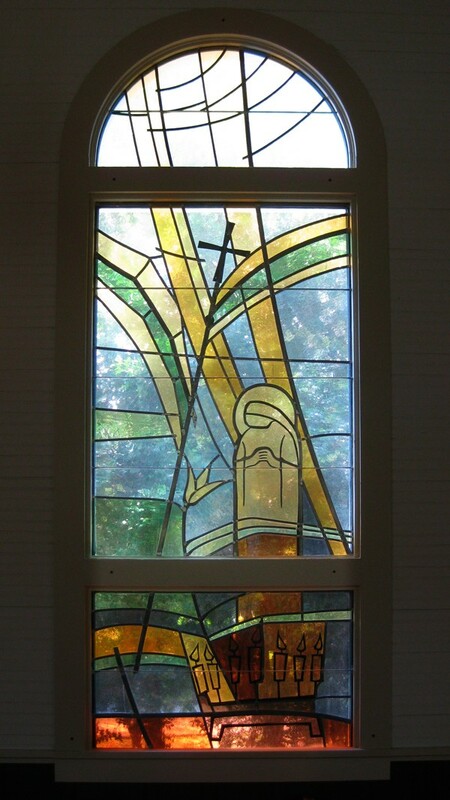 The new windows would have to be stronger, weather-tight and, of course, beautiful. 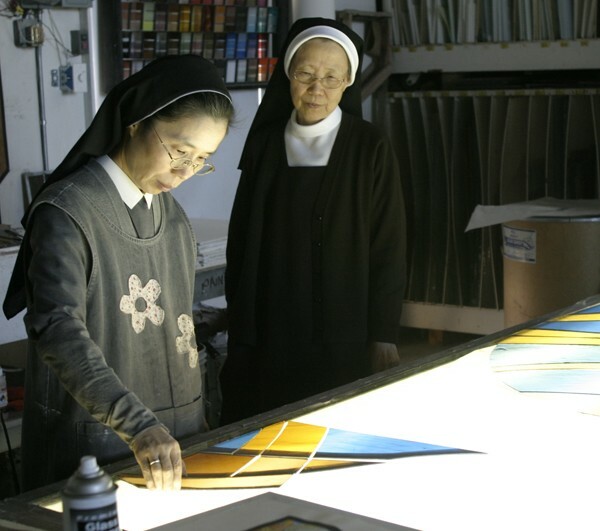 In the spring of 2007, Sister Kim began studying the chapel and laying out her initial designs. 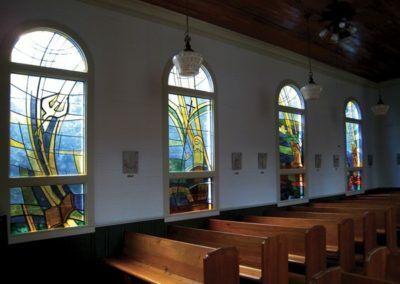 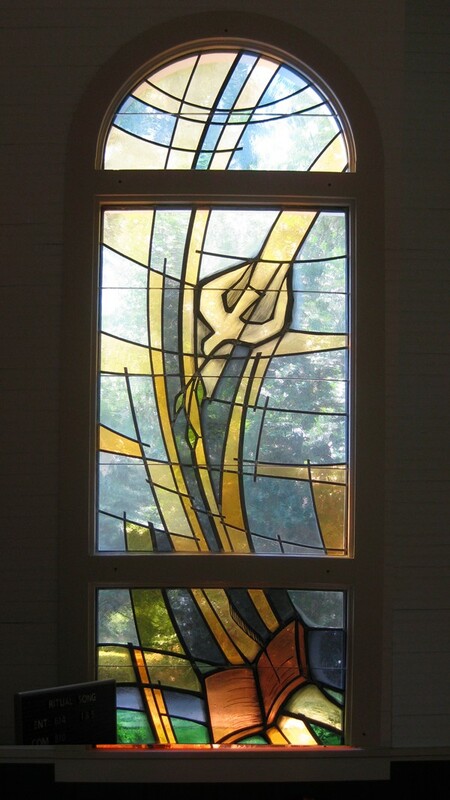 Accompanied by her aunt and interpreter, Sister Mary Magdalen, Sister visited the Conrad Schmitt Studios in New Berlin, Wisconsin, to select the stained glass. 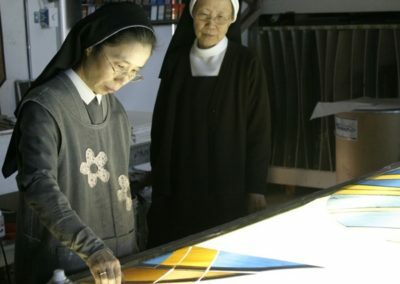 After the glass was cut, the Sisters again visited the Studio to paint the designs on the glass. 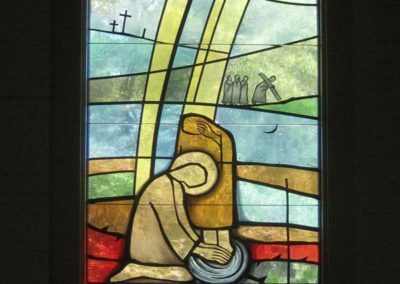 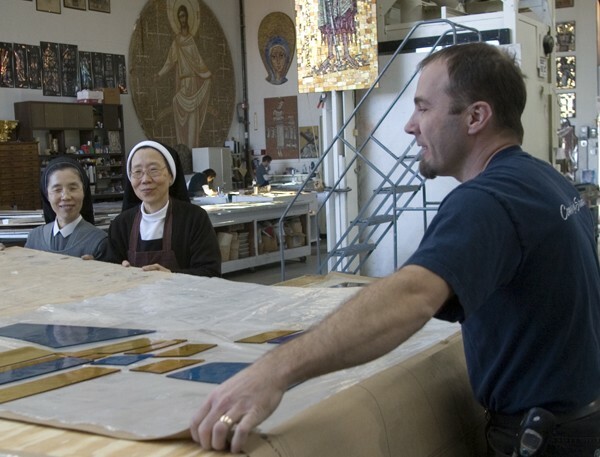 The stained glass windows for the Carmelite Monastery are a beautiful culmination of the collaboration between artist and craftsman. 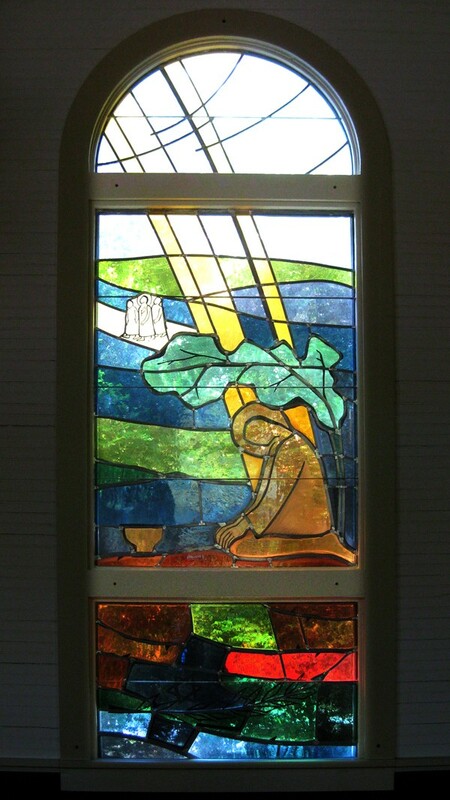 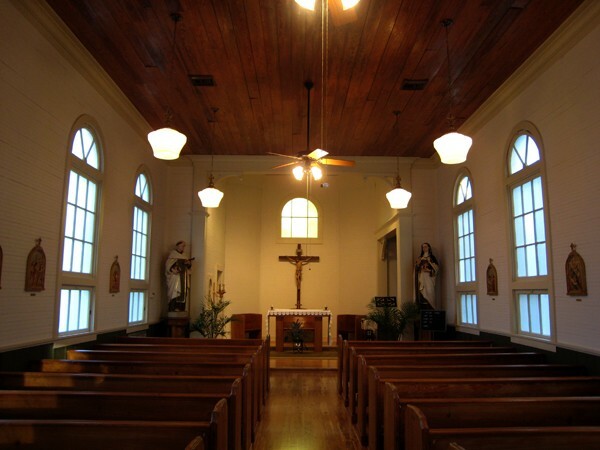 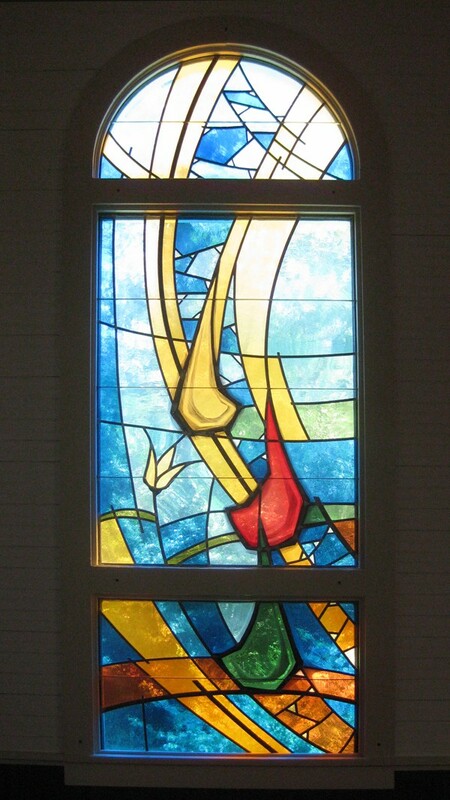 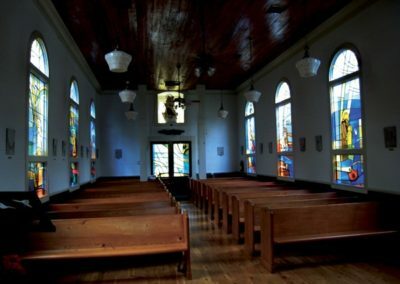 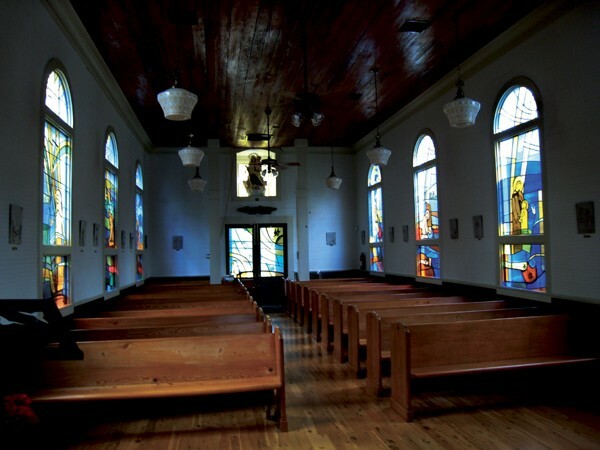 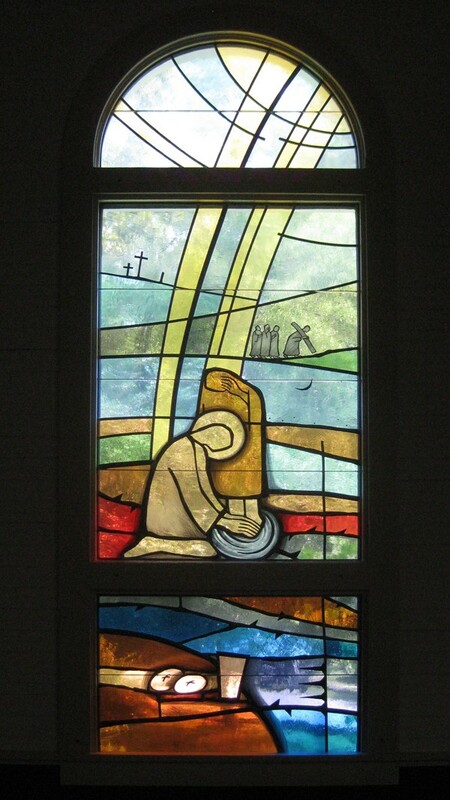 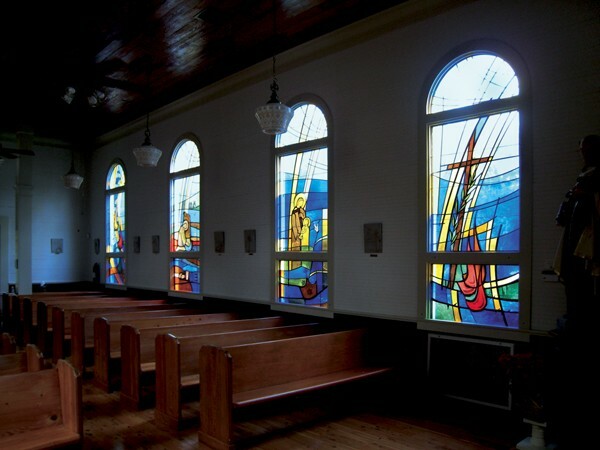 The windows now serve the visual and functional needs of the Carmelite Monastery Chapel by keeping harsh weather conditions out and welcoming the Louisiana sun into the Chapel’s interior.